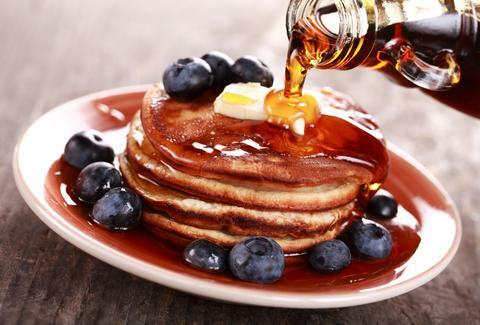 There's no hangover cure quite like a stack of pancakes smothered in pure maple syrup, but it turns out the amber-hued delicacy may actually hold some legitimate healing properties. That's according to recent scientific research that suggests an extract found in the sugary condiment can help fight so-called "superbugs" currently resistant to traditional antibiotics. The findings were presented at the annual meeting for the American Chemical Society by a team from McGill University, which has discovered that a particular compound found in maple syrup may increase the potency of certain common antibiotics. Beyond giving Canadians yet another reason to gloat about their precious reserves of pure maple syrup, this has huge implications in regard to the issue of antibiotic over-prescription, which has been attributed to the creation of "superbugs," or increasingly common bacterial infections that don't respond to existing antibiotics, and are frequently fatal. Just last month, the World Health Organization put out a warning that a dozen of them currently pose an "enormous threat to human health." To test the extract -- which comes from separating the sugar and water from the syrup -- the researchers mixed it with two different commonly used antibiotics, ciprofloxacin and carbenicillin. They found combining them achieved the same antimicrobial effect as only administering regular antibiotics would have, but by using more than 90 percent less antibiotics. In other words, mixing in the extract significantly cuts down on how the amount of traditional antibiotics a person would require to treat all manner of ailments, thus reducing the ongoing threat of superbugs, and ultimately saving countless lives. While this is all very promising, we're still likely years away from human trials. The current findings are only based on research done on fruit flies, moth larvae, and mice. That said, maybe there is something legitimately therapeutic about soaking in a tub of maple syrup? Joe McGauley is a senior writer for Thrillist. Follow him to the land of syrupy science @jwmcgauley.